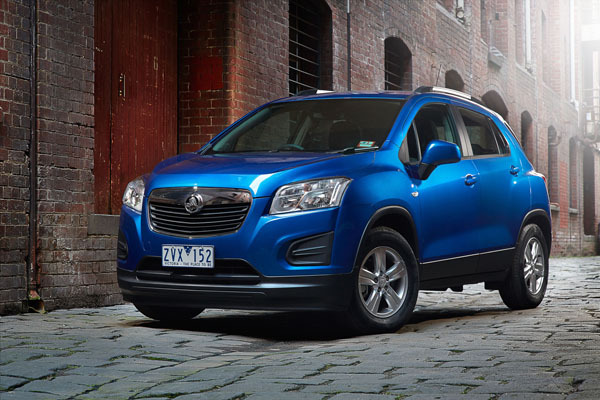 Meet the Holden Trax, a small SUV with big style and lots of personality. 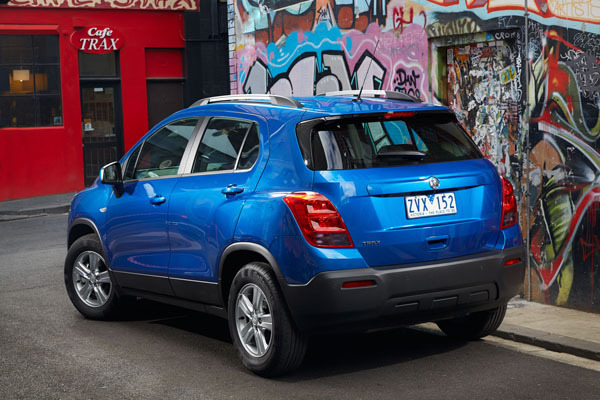 Based on the underpinnings of the Holden Barina the Trax has a taller body for added interior room. Trax first arrived here in August 2013 and has sold moderately well since then. When SUVs began to gain in popularity the larger ones were often seen as being 4WDs with all that means in rugged build and tough off-road ability. Thankfully, the little Trax and others in this class don’t even pretend, rather they have a go-anywhere image. Or does it? These days going anywhere can mean keeping in touch with others electronically, not physically. Trax makes a big feature about having the GM MyLink system that features high-res graphics and is easy to setup. MyLink further upgraded to the latest version with the introduction of the facelifted Trax in February 2017. Not many of these are on the used car market at this stage, but if your budget is up to it it’s worth hunting one down. Trax is a tall vehicle for this class, with styling cues that break up the boxy design, with stylish mudguards, bonnet and rear quarter panels. The swept -down profile works nicely. It has a relatively high seating position, that makes it simple to drive and park, and also lets the littlies in the back seat have a good view out. You can squeeze there adults in the back seats, but two makes life a lot more comfortable. Rear legroom is pretty good for this class, though if tall adults are travelling in tandem they’re likely to need some compromising on space. The tall styling makes for a high boot and can handle a pair of medium sized suitcases with space for a few smallish items around them. A 60:40 split rear seat adds to the cargo options. 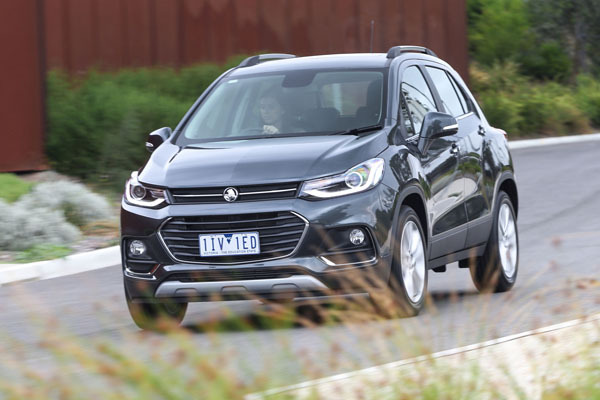 Though it’s certainly not a sporty SUV, the Trax had suspension development done by Australian engineers to suit our local roads and drivers’ desires. It sits well on the roads, even dirt ones and the suspension soaks up the lumps and bumps surprisingly well. A small car for the Aussie outback? Well, not quite. Holden Trax is powered by a choice of two four-cylinder engines. There’s a 1.8-litre naturally-aspirated unit that provides enough performance – but only just. If you’re carrying more than one or two people and/or live in a hilly location you may find it struggles. Much better is the 1.4-litre turbo-petrol unit that arrived in October 2014. With good low down torque it’s far more pleasant to sit behind. Hunt one down if you think of yourself as a keen driver. Drive is to the front wheels only as Holden made the decision not to import the AWD Trax model used in some countries (for better grip on icy and snowy roads, but not to go off-road). Trax has a five-speed manual in a market segment where many use a six-speed unit. The six-speed automatic has a silly manual override rocker switch on the selector lever if you want to make your own decisions. You can do a fair bit of your own work on a Trax, but it can be cramped and annoying working under a small bonnet. Please don’t touch any safety items. Obviously there are Holden dealerships all over Australia, many with decades of operation in the one location. While those in the bush can service and repair the Trax they may have to call for spare parts that aren’t routinely in stock. Insurance on the Trax is about average in price for this class. Shop around, but be sure to get an accurate comparison. Engine overheating in some high mileage Traxes has been a problem. Look for warning light during your test drive and open the bonnet as soon as you stop from a run to see if it seems over hot. If you’re going to be using the Trax for the MyLink system try to set it up and sample all the choices, the latest system, from early 2017, is noticeably better than the original. Some early cars were recalled to fix a problem with the front safety belts not locking correctly. Pull them quickly and see that they work. With the engine off, the car stationary, the parking brake and a manual gearbox in neutral, wiggle the ignition key hard. It it has too much movement on a 2013 or 2014 model it should have been recalled. Ring 1800 GM Holden (1800 46 465 336) with the car’s details to check on recalls. During your test drive make sure the engine does not misfire, that gearchanges are reasonably smooth and that the brakes work without pulling the car to one side. Check the condition of the interior and boot, particularly if you feel the Trax has been used as a family car. Small city cars often live a hard life so don’t feel that a low distance reading is a guarantee of good condition, have it checked by an expert.